Former Michigan football player Jourdan Lewis was charged with misdemeanor domestic violence in Washtenaw County this afternoon. An Ann Arbor police detective told MLive that police received a 911 call from Lewis’s girlfriend around 1 a.m. this morning. The woman who called told police that Lewis had assaulted her, although, per ESPN, he was not arrested. Lewis was not at the apartment when police arrived, but spoke to them via telephone and met with officers a few miles from the apartment shortly thereafter. Lewis was not arrested, and the woman did not receive any medical attention for injuries. 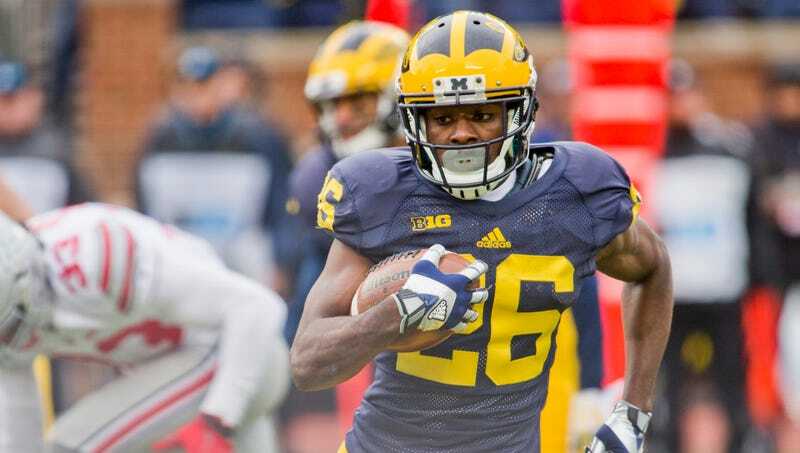 Lewis played cornerback for the Wolverines, and he was a two-time First-team All-American. He’s scheduled to take part in Michigan’s Pro Day next Friday, and CBS Sports has him as a second-round pick in the upcoming NFL Draft. In a now-deleted tweet, Lewis expressed what he thought of the charges. What Will Harbaugh Think Of Next?